With the capacity of 10-14 passengers, Lincoln Stretch Navigator is ideal go when you want to have fun with your friends and family. The car has leather interior to suit your style and tinted windows to give you privacy. Lincoln Stretch Navigator can be used for corporate travels, prom nights, airport travels suiting your budget and other needs. 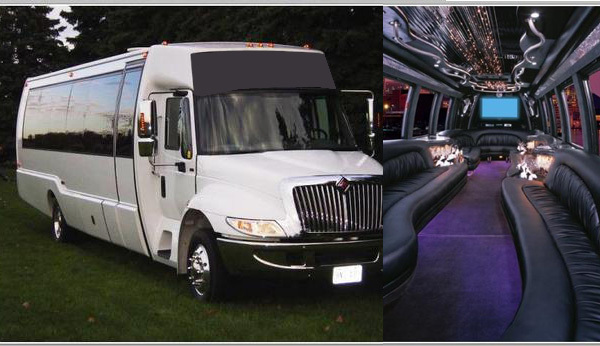 Stretch Limo Toronto is an ideal selection for graduation day, corporate travels, wedding, prom nights, night out. It has a capacity of 8-10 passengers with leather interiors and tinted windows. The limo also has a TV screen and mood light to let to have fun while on the go. With the capacity of accommodating 4 people in it, the car is an ideal choice to pick up any of your client from airport, so that you can travel comfortably with him. The car has black leather interior and exterior. This will add to your points and you never know you may get the order you were waiting from so long! SUV is a perfect fit when you want to travel around the city with few of your friends. It gives you a feel of luxury and comfort while traveling. The car is equipped with custom surround system, AM/FM Stereo with CD player, TV/VCR/DVD to make your ride enjoyable with a capacity to fit 4-5 passengers in it. This time when you are planning to go for concert with your family; opt for Dodge Caravan. With the seating capacity of 5-6 people, the car is comfortable and will suit your style with its leather interior. Its tinted windows will also give privacy to enjoy with your loved ones. Sit down, relax and enjoy your ride in our luxurious Party Bus. Our 20-24 passenger party bus offers comfortable microfiber reclining seats with ample of leg space and head room..